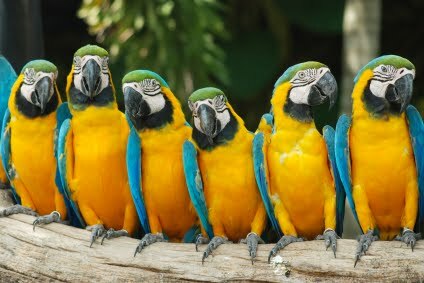 Natural childbirth advocates often appear to be nothing more than a bunch of parrots. One of them makes up something and the rest of them mindlessly repeat it. Consider the issue of maternal mortality. Fittingly, Ina May Gaskin, the biggest fraud in the world of NCB advocacy, misconstrued the most basic information (possibly deliberately) and fashioned the biggest lie. And once she made it up, Ina May played it for all it was worth. According to Gaskin, rising US maternal mortality is an indication that contemporary obstetrics is in crisis. There’s just one problem: US maternal mortality is not rising. In 1999 and again in 2003, the standard birth certificate was redesigned to capture all maternal deaths by expanding the maternal mortality criteria. Not surprisingly, maternal mortality appeared to rise as a result. There is no evidence that it actually rose (indeed the CDC has established that it did not rise) but that didn’t matter to Gaskin. She grabbed the issue and exploited it to promote homebirth midwifery. In a public relations master stroke, she even created a quilt (consciously modeled on the AIDS Quilt) to foster the illusion that the maternal mortality rate was rising and that modern obstetrics was the cause. In May, Amy Romano, CNM of the Childbirth Connection parroted this falsehood in honor of Mother’s Day. Now Kimmelin Hull of Lamaze has jumped on the bandwagon. Hull, who (as she never tires of telling us) is working on an master’s in public health, ought to know better. However, the opportunity to criticize contemporary obstetrics is just too tempting, facts be damned. 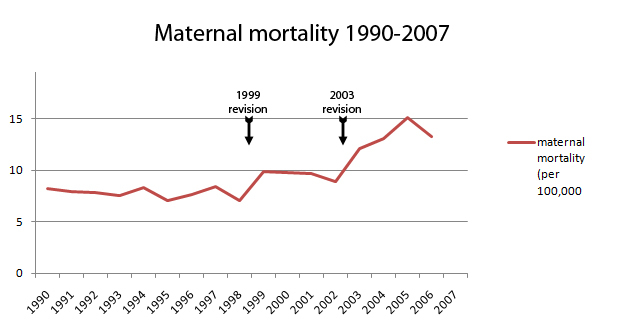 Hull begins by parroting the lie that US maternal mortality has been rising. Hull quotes the WHO, the CDC, Amnesty International, and (of course) Gaskin, but she neglects to quote the specific studies that show that the apparent increase in maternal mortality is due to the birth certificate revisions. Research done on this issue indicates that this increase represents an improvement in identifying maternal deaths. For example, a study in Maryland that used multiple data sources as the standard showed an improvement (from 62 percent to 98 percent) in identifying maternal deaths after adoption of a pregnancy checkbox item consistent with the 2003 standard certificate. … By encouraging the perspective that pregnancy and birth are inherently normal, healthy processes (as opposed to disease/disease states) the eventual clinician is more likely to approach patients with a sense of trust in the germane mechanics associated with pregnancy and birth as opposed to a pessimistic assumption that each pregnant patient is a “ticking time bomb” to be weary of. What? The solution to an increase in maternal mortality is to trust birth? That makes no sense. But making sense, like the truth itself, is irrelevant to the NCB parrots.